At first glance, Crescent Lake, a shallow body abutting a cornfield in upper Snohomish County, Wash., would appear to be perfectly pristine. Mallard and pintail ducks skirt the edges of its banks on waters that in this contaminated age at least would seem to be as untouched as anyone could hope. 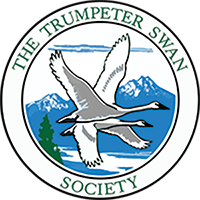 The trumpeter swan, or cygnus buccinators, winters along hundreds of miles of the Pacific Northwest. For more than a decade, however, large numbers of these birds have died from lead shot- not shot fired at them, but historical deposits of shot fired from shotguns of days gone by. 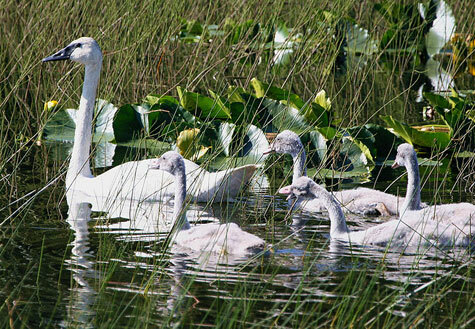 The lead can be picked up as grit or consumed by accident along with the swan's food source. Because birds don't have teeth, they use the grit to help break up or grind their food in their gizzards .